When he learns that his childhood best friend, Luke, has died—suspected of killing himself after murdering his family—Federal Agent Aaron Faulk returns to his hometown in rural Australia for the funeral. Falk hasn't been to Kiewarra in twenty years, since he was effectively run out of town in high school, and the drought-stricken community hasn't forgotten his alleged transgressions. But he's determined to clear Luke's name, and in the process he'll dredge up long-buried secrets that prove the past is never far behind. 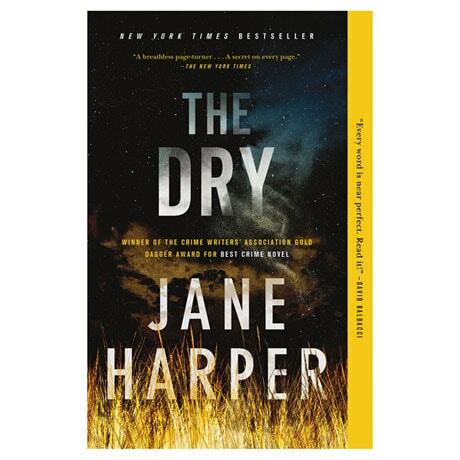 Totally absorbing—with a haunting setting, unforgettable characters, and a masterful plot—The Dry is one of the best mysteries I've read in a long time!